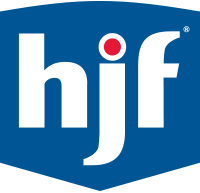 HJF is seeking a Pain Psychologist to support the Defense and Veterans Center for Integrative Pain Management (DVCIPM) located at Fort Belvoir Community Hospital in Ft. Belvoir, Virginia. HJF provides scientific, technical and programmatic support services to DVCIPM. Performs duties as a practitioner, researcher and consultant in psychology with emphasis on problems of all levels of complexity. With a focus on the clinical and research areas of pain management and opioid risk reduction. Examines, diagnoses, treats, and follows patients with pain-related presentations of all complexities and provides evidence-based psychological care focused on pain management, self-management, treatment adherence, coping, opioid risk reduction, and other behavioral health areas related to pain. This can include individuals, groups, and couples. Conducts on-going assessments with patients and research participants, including those leveraging a variety of IT platforms and methodological approaches (e.g., computer adaptive testing). Send electronic and phone-based reminders for survey completion prior to appointments; administer surveys prior to appointments if not completed online. Works as a member of interdisciplinary medical teams, embedded in one or more clinics per clinical research needs. This includes attending staff meetings, trainings, and other events, as well as providing appropriate referrals. Provides ongoing consultation for staff, leadership, and others, as appropriate, in the area of pain psychology. Maintains an active psychology license, completes requisite continuing education, and obtains/maintains credentials at Department of Defense medical treatment facilities. Adheres to the policies, procedures, regulations, laws, and guidelines relevant to the position and location. Consents patients and others (e.g., caregivers, providers) to participate in research studies, ensuring compliance with ethical standards regarding consent (e.g., participant understanding, record keeping). Works with DVCIPM scientists, study principal investigators, other study team members, clinicians, and medical teams in retrospective and prospective research protocol development, regulatory approval and compliance, data collection, study management, and data cleaning. This can include submitting to the Institutional Review Boards, Scientific Review Boards, and other regulatory and oversight bodies. May participate in preparing grant proposals and authoring manuscript or professional conference presentations. Maintains current review of relevant professional literature and skills with citation software (e.g., EndNote). Becomes quickly knowledgeable and proficient with DVCIPM protocols and overall research goals including protocols that will be initiated at Fort Belvoir Community Hospital. May identify problems and solutions in the research design, data collection, and methodology. Coordinates protocol specific training to study site staff and ensures all human research protection education is current. Assists in drafting standard operating procedures, coordinating in-services with clinical and research staff, and maintaining training logs within the scope of the research projects. Facilitates and participants in study record audits and furnishes guidance and assistance as needed. Assists other study team members in audit preparation. Study audits will be at the discretion of Study Managers, Principal Investigators, and DVCIPM scientists and do not require advance notice. Reviews medical records for eligibility for participating in research protocol. Extracts data for approved research protocols from the electronic health record and other databases. Interviews potential participants to screen for study eligibility and collect data per approved screening and study protocol procedures. Performs data entry, ensuring a high level of accuracy within databases. Maintains proficiency in the protocol-specific data capturing software and platforms – e.g. Research Electronic Data Capture (REDCap) and Wounded Ill and Injured Registry software. Queries data at the request of PI, Site PI or associated research management staff. Assists in the preparation of data and interim/final research reports. Acts as a site point of contact. Promotes and maintains communication within the department, and with other disciplines encouraging a collegial environment. Travels to other project locations as needed. Assists with special projects and performs other duties as needed. Required Knowledge, Skills, and Abilities: Ability to diagnose and treat psychological problems of all complexities; focusing on those related to pain and pain management. Skilled in the full continuum of the research process. Ability to adapt, be flexible and creative, and learn quickly to facilitate patient care and rigorous research. Skilled in working within interdisciplinary teams. Skilled in conducting evidence-based behavioral approaches to pain (e.g., Cognitive Behavioral Therapy for Chronic Pain). Familiarity with military medical system desirable. Minimum Education/Training Requirements: Ph.D. Degree in Clinical Psychology from an APA-accredited program and completion of an APA-accredited pre-doctoral internship required. Advanced training (e.g., Postdoctoral Fellowship) in pain-related care and behavioral medicine preferable. Required Licenses, Certification or Relative: Valid driver's license, active clinical psychologist license. Physical Capabilities: This position is primarily sedentary, but some walking, standing, bending, and carrying of light items such as books, papers and etc. are required. Work Environment: The work is performed in an office and teaching hospital environment.